Stalbridge Info is the Community website for Stalbridge. It has been designed to be a "One Stop Shop" for accessing everything to do with Stalbridge. You can find information about Stalbridge shops, businesses, trades, clubs and societies and Stalbridge events. Click on the logo above to access the site. 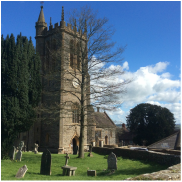 ​​The Friends of St Mary’s Church was established in June 2004 as a freestanding registered charity to raise, hold and give money for specific purposes associated with the maintenance of the church fabric and churchyard. 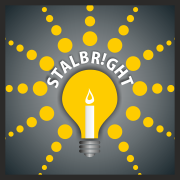 ​Formed from The Stalbridge Lights Group, STALBRIGHT is the new Stalbridge events organisation, based in The Hub@Stalbridge in Station Road. It plans to promote Special Events in Stalbridge, including the popular Sunday Funday and Stalbridge Christmas Celebrations. 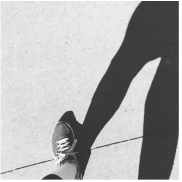 Launched in November 2007 under the ‘umbrella’ of the ‘Walking for Health Initiative’, one of the advantages of our group is that there is no ‘membership’ as such – we have grown from a shared enjoyment of gentle walking. The Community Information Office provides assistance to the public needing access to all levels of Council assistance:- Planning, Benefits, Recycling, Highways and police matters, plus travel and tourist information.